Did Liz Miss Malice or Did Malice Miss Liz? 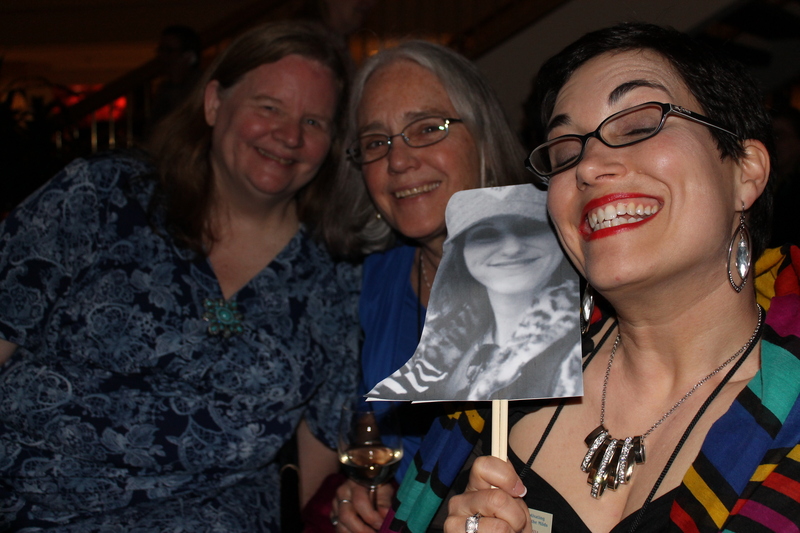 Liz Mugavero couldn’t make it to the Malice Domestic conference so Jessie Crockett made sure Liz was with us — sort of! All the Wicked Cozy authors! Julie and Sherry miss Liz! 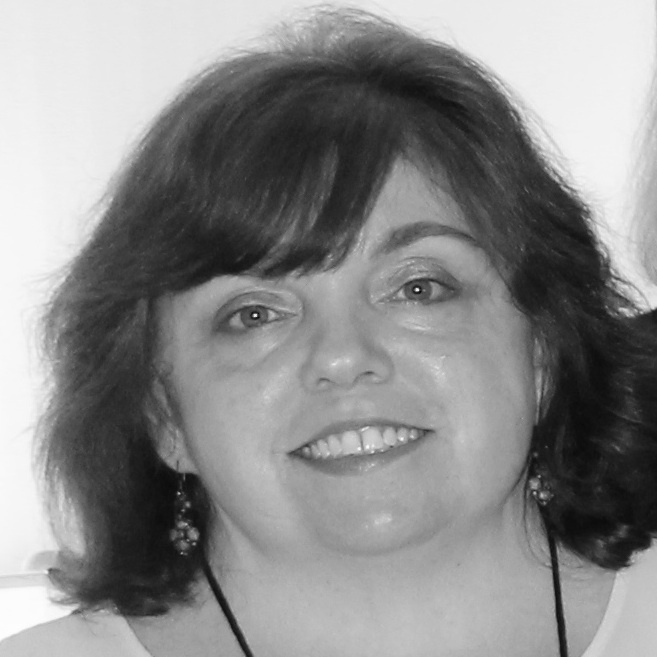 When in doubt, Barb Ross and Edith Maxwell ask: What Would Liz Do? Things turn serious in a discussion with Liz! Liz hangs out with famous authors! 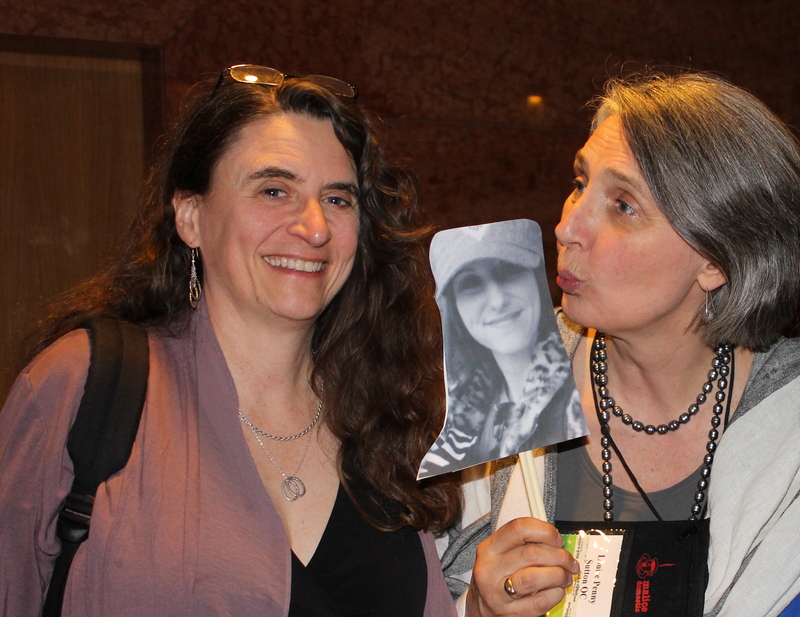 Sara J. Henry and Louise Penny pose with Liz! 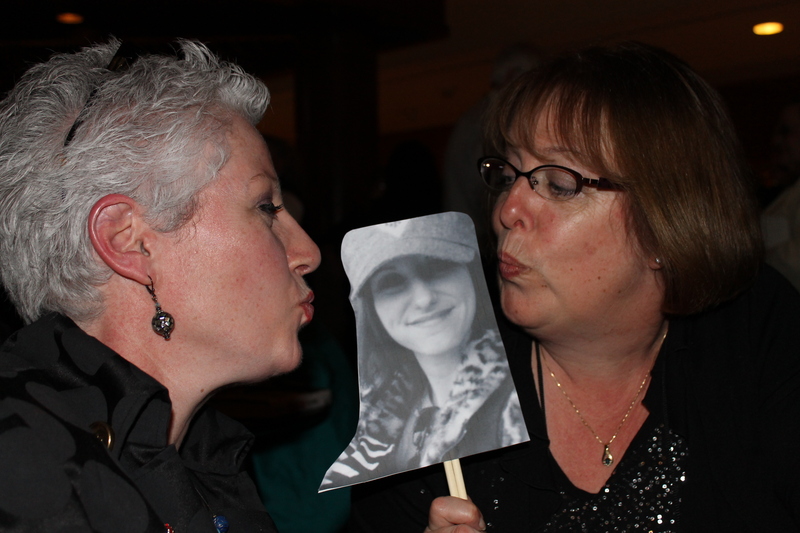 Liz and Toni L. P. Kelner having fun at Malice! After the banquet a drink at the bar with Barb, Edith and Jessie! 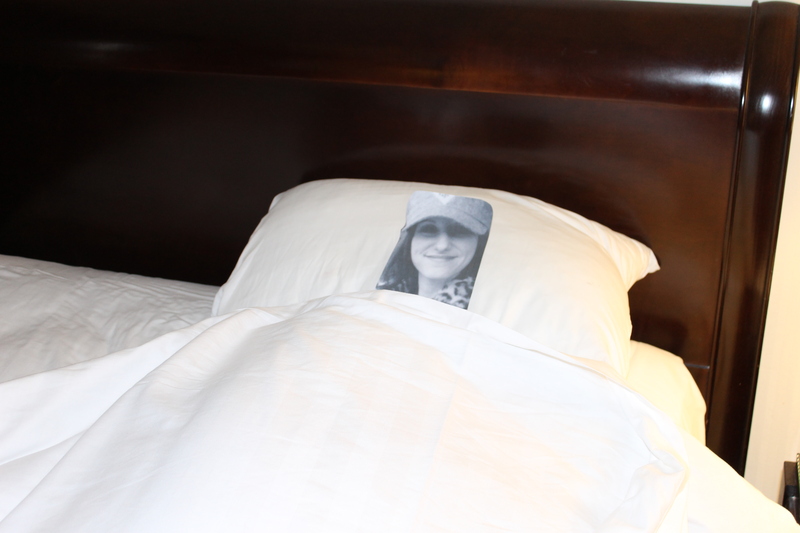 After a long day at Malice Liz needs her beauty rest. Refreshed after a good nights sleep Liz visits with Wicked Adjunct Author Sheila Connolly. 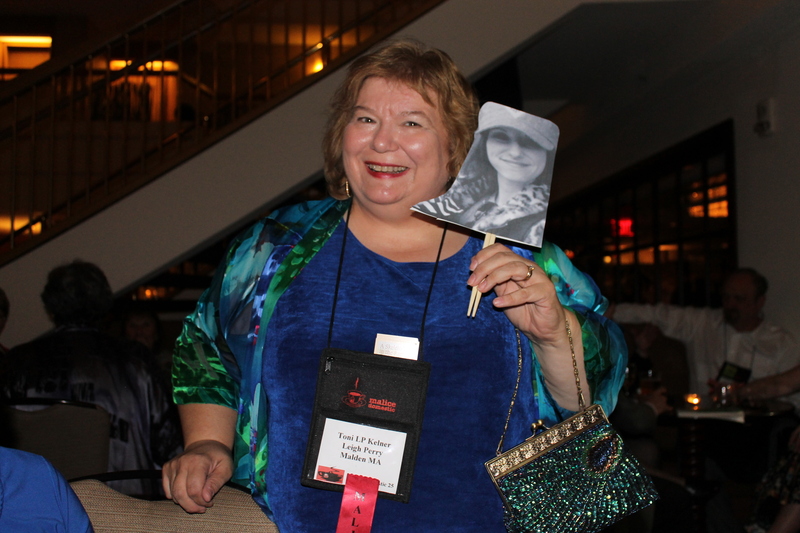 We’ve assured Liz that despite a flat affect and flat hair, she had a marvelous time at Malice. Where would you like to go? Bouchercon? The New England Crime Bake? Let us know in the comments below and we’ll take one lucky winner with us. Liz: I am still laughing about this. Hysterically. And honored to have such wonderful friends. I was planning to go next year, but I wonder if I’d have as much fun as “Flat Liz” did? What do you think? 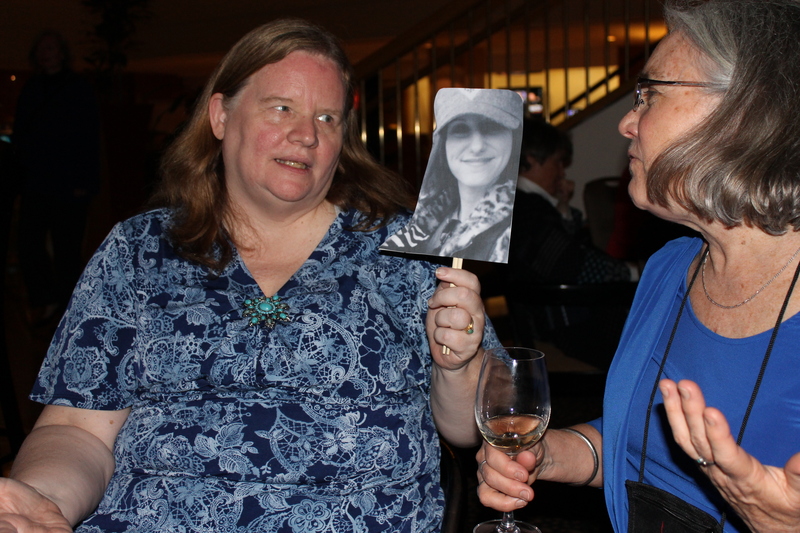 Edith: We missed Full Liz, but greatly enjoyed taking her around with us on a stick, and Sherry and I didn’t mind sharing our hotel room with her at all! 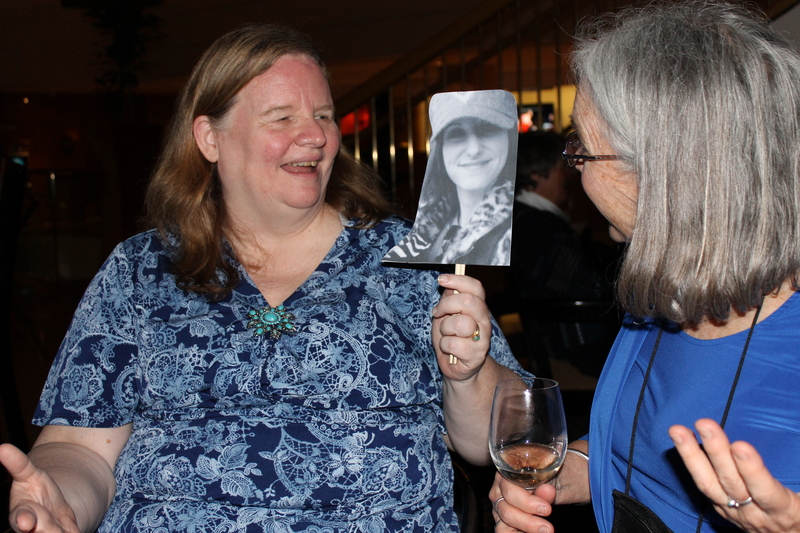 Julie: I loved having Flat Liz with us. I am a little troubled that she met more authors than I did (Louise Penny! ), but I can work on that for next time. Excellent Addition to the weekend! Next Manuscript Sent — What’s Next? You guys are hilarious! Those Liz pictures can be used as fans, too. Oh, boo — you must come to Crime Bake! LOVE flat LIz! 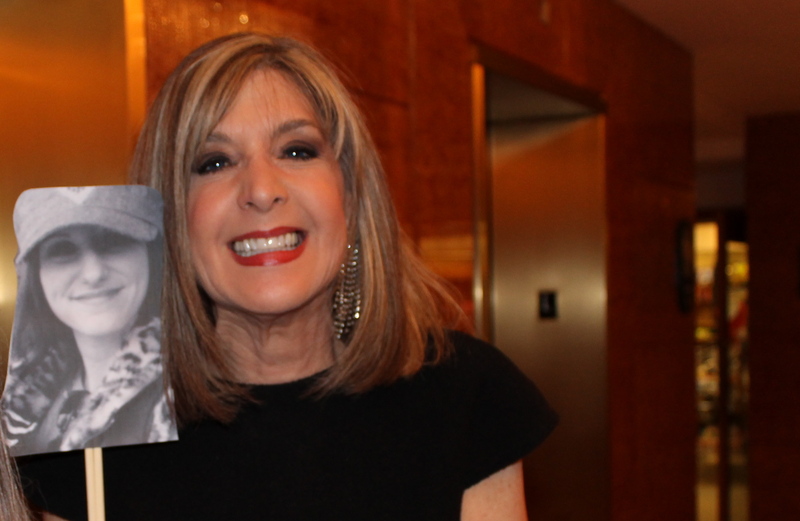 And the real Liz, too…how hilarious! Thanks Hank! We are feeling a little silly today! Liz was very happy to have her picture taken with you! I admit, I was confused at first. I thought you were inferring that Liz rode a broom to Malice! Quite a trick, so I thought, and one I wouldn’t mind learning! I haven’t been able to attend a conference in several years — the last one was West Coast Crime in Denver — and I always loved the energy, the panels and, most of all, the people. 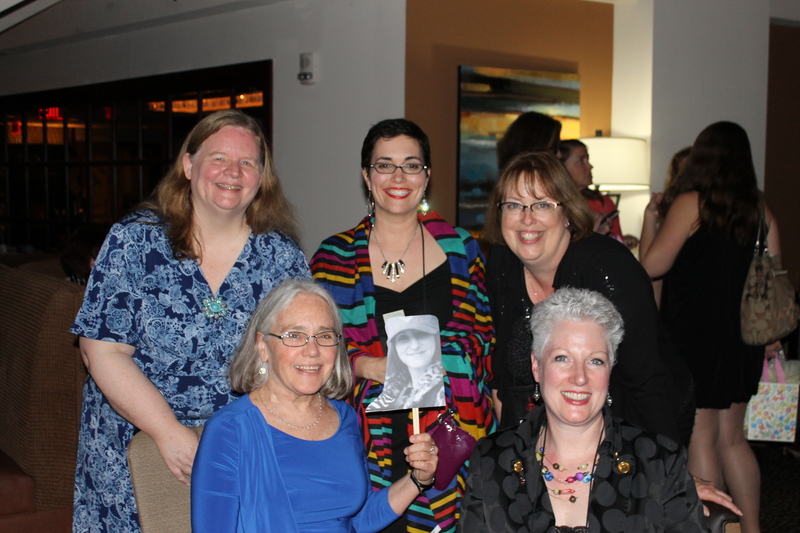 What a fabulous group mystery writers and fan are! I’m putting my bid in to go to a conference on a stick (even if it isn’t a broom). ANY conference! Bouchercon, New England Crime Bake (sorry I missed Malice), any conference at all. I’m game! Going to conferences is so much fun! Very cute. I’d love to fly to Crime Bake all nice and thin and on a stick! LOL! On a stick or in person Crime Bake is a lot of fun! This is fantastic! Ditto Barb’s comment that I’d love to visit Crime Bake virtually. Why are the coasts so far apart? I agree, Gigi. I always read about conferences on the West Coast that I’d love to attend. I’m hoping to go to Left Coast in Monterey next year! Maybe Gigi can take one of us to Left Coast on a stick! Very fun thing to do. Something that might be a big hit at many of our cons. I can picture it now Pat — just a few people with lots of pictures at a conference!